I received the shampoo, conditioner and split-end serum last week, so knowing they have sent a 4th product was also a nice surprise. According to the instructions the Reconstructing Butter is to be used once a week which is perfect timing as I just ran out of my deep conditioner. I tried all 4 products today and I seriously can’t get over how it smells clean, sweet and refreshing! The shampoo was great, but I was especially impressed by the conditioner and the Reconstructing Butter. My hair soaked up the products and now I can’t stop touching it. My hair feels completely rehydrated. I finished off with the Split-End Bandage Serum and now, my ends don’t have that crisp straw like feel which is more pronounced during winter. I love this hair care line! I will be recommending this line to all my friends and family beauties as this Canadian winter is really taking its toll on our hair! 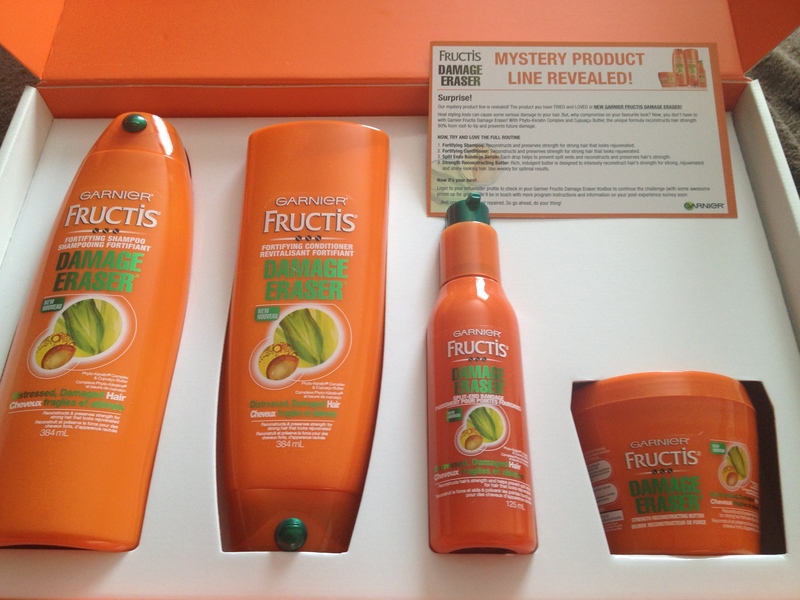 Well done and thank you Garnier and Influenster!